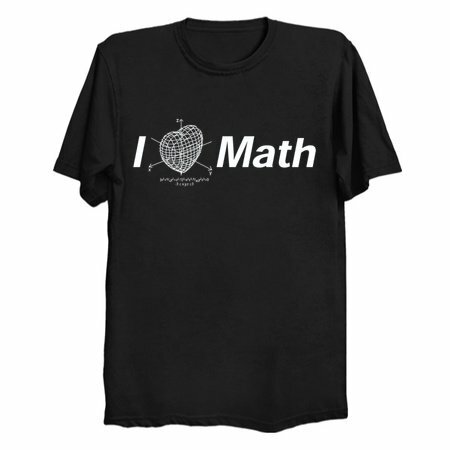 The ultimate shirt for math lovers! Whether you love statistics, calculus, geometry or algebra, this tee shirt will certainly “measure up” to your most infinite expectations. This 3-D heart-shaped graph is an example of differential equation. If you can solve the formula at shown, you certainly need this shirt. Take note that we also have another math lover’s shirt featuring a Lorenz Attractor. 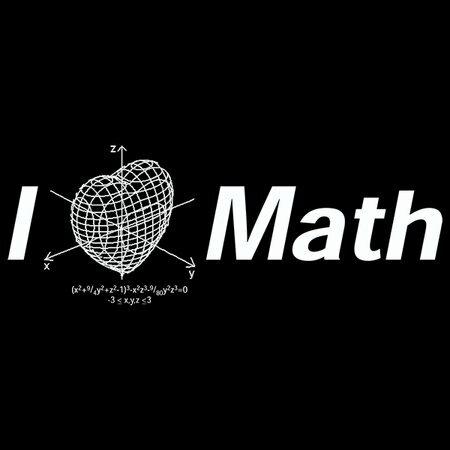 And for those of you over in the UK, we also offer an “I Heart Maths” shirt featuring proper Queen’s English.